The South-Korean company Samsung, who is one of the foremost long-standing flip phone manufacturer, is doing a lot to fill the vacuum created by the extinction of their major competitors. Their Samsung W series is birthing a new mobile, Samsung SM-W2017. 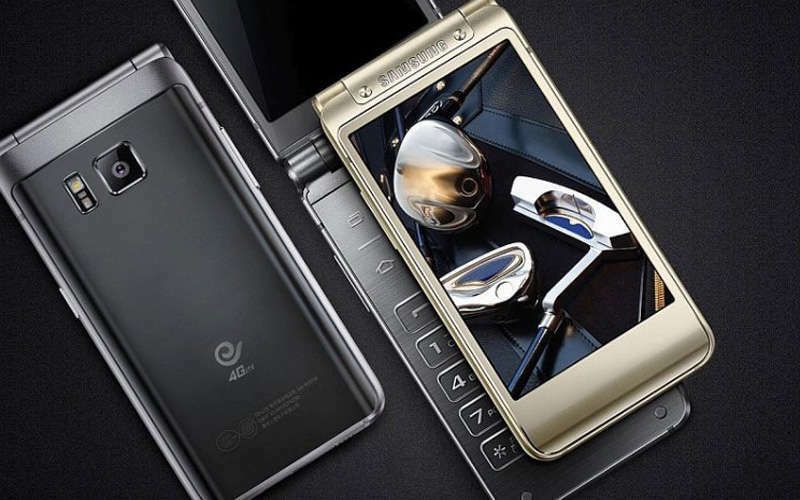 Samsung SM-W2017 also called Samsung Veyron is rumoured to be released few weeks from now. With a peep into the Specs, Samsung Veyron is one of the most anticipated Samsung phone this year. *Nothing said about the microSD card slot yet. The Phone is rumoured to be a flip version of Samsung Galaxy S and the Galaxy Note series’ flagships. With so much in the air about this mobile; we can anticipate its soonest release!